Chris takes our favourite blue hedgehog out for a test run. There are not many characters in video games more well-known or beloved as Sonic the Hedgehog. The blue blur has been part of the gaming landscape for over 25 years and has crossed over to almost every medium imaginable in those last two and half decades. Sonic, like Mario is bigger than the gaming space he primarily occupies. However, for all their similarities there is one thing that separates these two icons and that thing weighs heavy on every fan of Sega’s pointy protagonist. Game quality. To say that Sonic has been in a slump for almost the last 20 of his 27 years would be being very kind. A few highlights aside, Sega has struggled to translate the success of the Mega Drive era Sonic to any other platform or console generation. Something needed to change. And change it did! 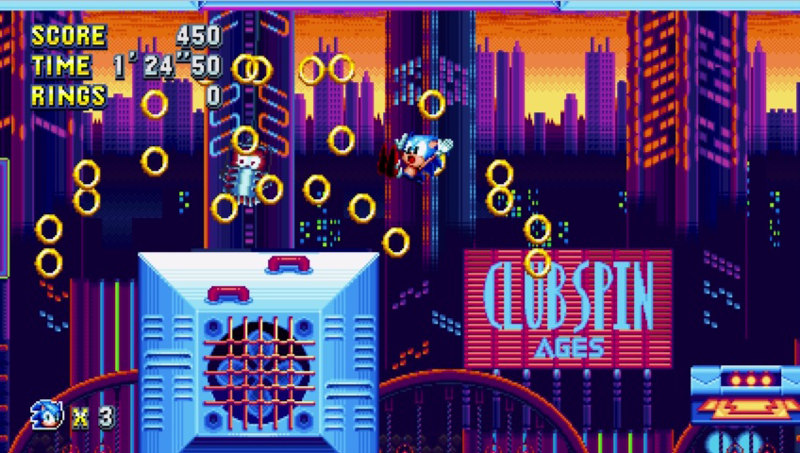 In 2017 Sega published Sonic Mania. A passion project not from Sega itself but instead from the ROM hacking and fangame community lead by a legend in that space Christian ‘Taxman’ Whitehead. This dedicated group of uber-fans took their passion for old-school Sonic and gave gamers the best 2D sonic game in over 20 years. This unashamedly retro dive into the worlds of Sonic and friends was exactly what the franchise needed. By looking back and embracing all the things that made Sonic great PlayStation, Xbox, and PC gamers finally had a genuinely fantastic new Sonic experience on their platform of choice. The only unanswered questions back then were: When is it coming to Nintendo Switch, and will it live up to the versions on the other major platforms? 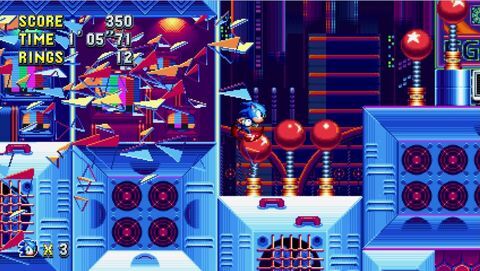 In July 2018 Switch owners got their answer in the form of the ever so slightly expanded Sonic Mania Plus. And this Switch owner could not be happier! 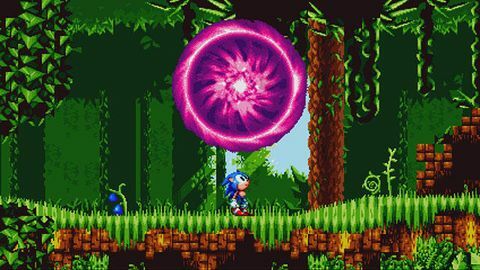 Sonic Mania feels like the proper sequel to Sonic and Knuckles we never got. The bright pixelated graphics, the phrenetic and upbeat music, and the sense of speed are all here. It even picks up directly after the events of that game (or so my sources claim). Dr Eggman is back tormenting Sonic, Tails, and co. There a gem thing and some vague threat of mischief to come. While I would love to go into the story leading up to and including the events in Mania but I can barely remember them, and to be honest I am not all that bothered about that. The story at least for me was a secondary consideration at best. 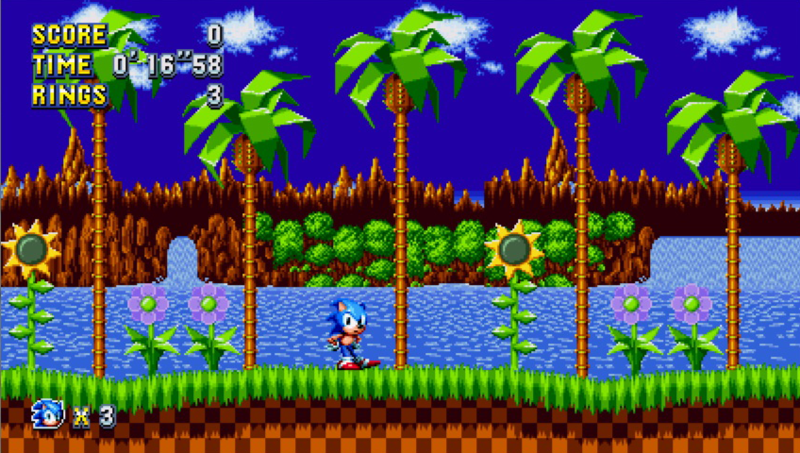 Old school Sonic is all about the on-screen action, and some of the best designed levels ever to grace a 2D platform game. This is where Mania really shines. Across the dozen or so zones you’ll find labyrinthine levels filled with multiple paths, pits, obstacles, and more than enough options to spin up to full speed and hit some loops while the game flings pixels across my screen at an eye-watering rate. 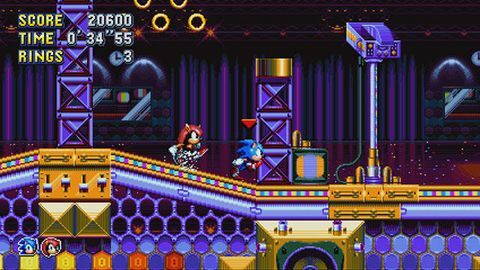 There are quite a few call-backs to some classic levels which stimulate the nostalgia fuzzies, but it is these new levels that highlight just how well the teams behind the game understand the Sonic fundamentals that Sega somehow forgot. Controls are tight and responsive, and unlike some Sonic titles, deaths here seldom feel cheap. The only disappointments I found were in some of the boss fights that for one reason or another feel awkward or not as polished as the preceding levels. It’s not a major issue by any means. Most fights are challenging, but rather than looking forward to defeating the next screen filling nasty I just wanted to play the next level. Which as far as criticism goes is hardly damning. Some additional time on making these encounters feel special would have gone a long way to making Mania the definitive Sonic adventure it so very nearly is. The other issue I have is the “plus” in Sonic Mania Plus. This is essentially the same game that was released a year ago, which is obviously not a bad thing. That being said a couple of new playable characters and a new game mode don’t feel like enough to warrant a name change. That being said it’s a pretty clear sign of a game’s quality when you need to nit-pick in order to find fault with it. I played Sonic Mania on my PC a year ago and loved it. The time on my Switch over the last week is hands down the better experience. More accurately; handheld mode is the best way to play Sonic Mania Plus. The screen helps to enhance the feeling of speed, and the retro pixelated art looks nothing less than stunning on the Switch’s small screen. Performance is rock solid out of the dock, and Sonic really does feel perfectly suited to being played on the go. Docked mode is great too, but all too often I found myself undocking my Switch and reclining on the couch when I was playing at home. Sonic Mania Plus is a return to form for Sega’s most iconic character. It takes all that is old and makes it new again. You can buy Sonic Mania Plus now at Mighty Ape. Sonic Mania Plus on the Switch is the best way to play the best Sonic game in over 20 years. Ups Bright and beautiful retro graphics. Best in series level design. Tight controls. Leans heavy on the nostalgia. Downs Boss fights not always a highlight. May be retro to a fault for new comers and leans heavy on the nostalgia. Not a lot of pluses in the plus.